Speaking of Kusatsu in Gumma Prefecture, Kusatsu hot springs are also famous in Japan, and not only in Japan, but also from abroad. However, surrounding Kusatsu is actually a treasure trove of not only hot springs but also superb views. “Yugama” (Boiler) of Mt. 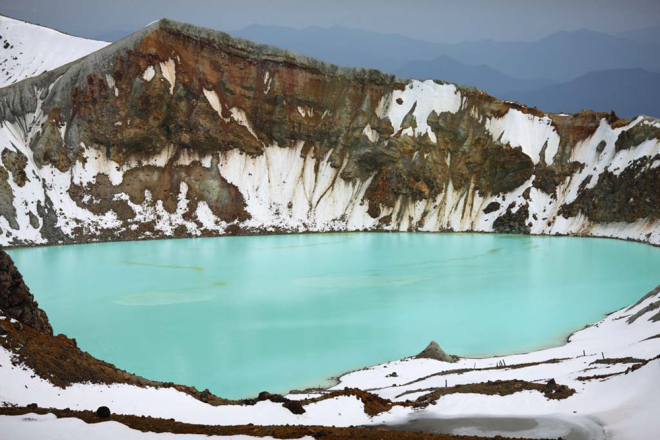 Kusatsu-Shirane is the crater-lake of the emerald green seen at the summit of the active volcano near the prefectural border of Gunma prefecture and Nagano prefecture. And the beautiful emerald green water shine which is the biggest feature of Yugama is believed to be produced by absorbing light of a specific wavelength, such as iron ions and sulfur dissolved in water. Because Mt. Kusatsu-Shirane with Yugama is an active volcano, we can not tour sight of Yugama depending on volcanic alert level. 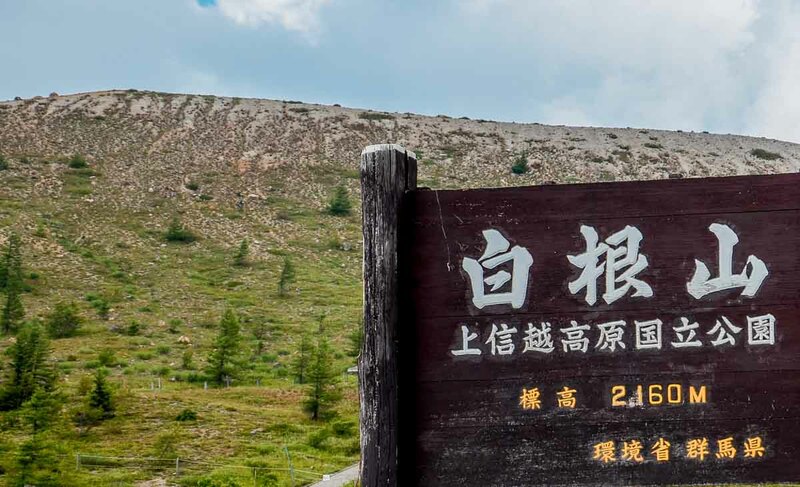 Since there are frequent cases where restrictions on entry into the mountain are applied to this area, it is a sightseeing spot that you would like to visit if you have a chance. 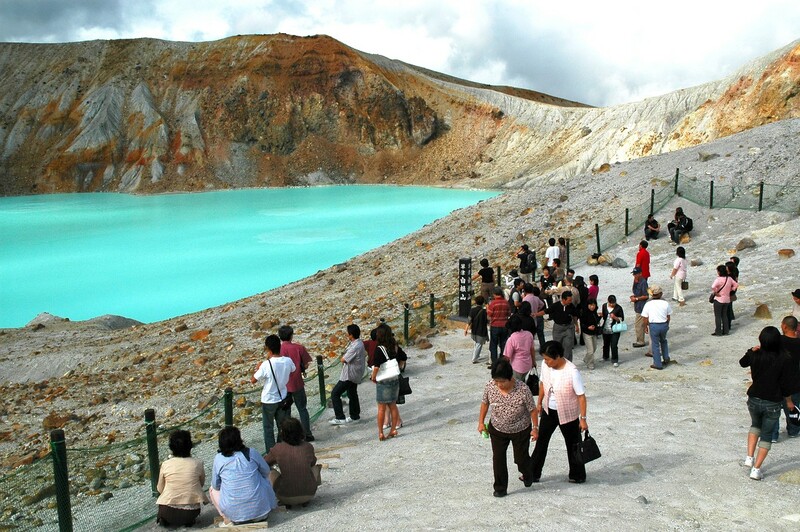 Because the altitude of Yugama is also a mountainous area with more than 2000 meters, the weather is easy to change, even if the Kusatsu hot spring is cloudy, the summit is sunny and vice versa. Also, as toxic gases are generated, it is dangerous, so there is an area where it is prohibited to enter the area, it will be a tour from the observatory without getting down to the lake. Because Yugama is located about 30 minutes by car from Kusatsu hot spring town, it is a spot where you can easily feel sightseeing. 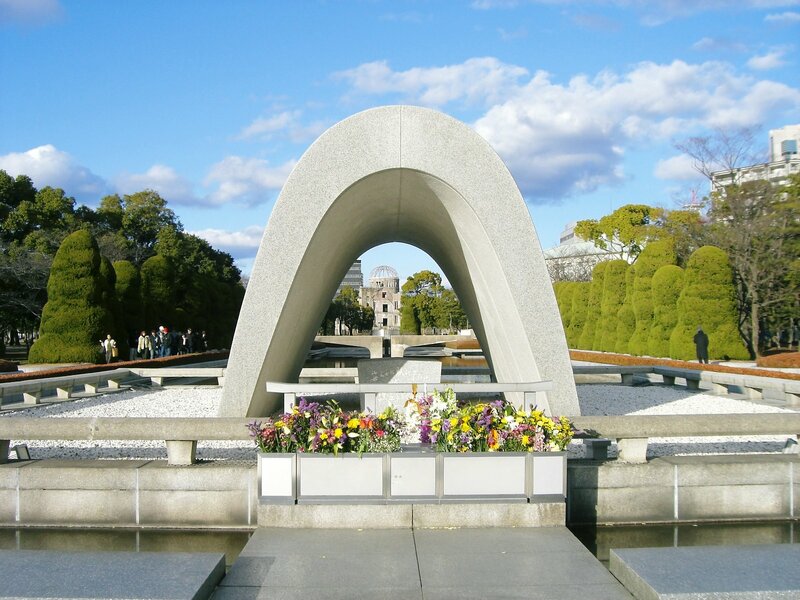 Especially, in the autumn leaves time period, you can watch the mountains stained red from the observatory in the daytime and enjoy the drive while watching the lighted-up autumn leaves in the evening. 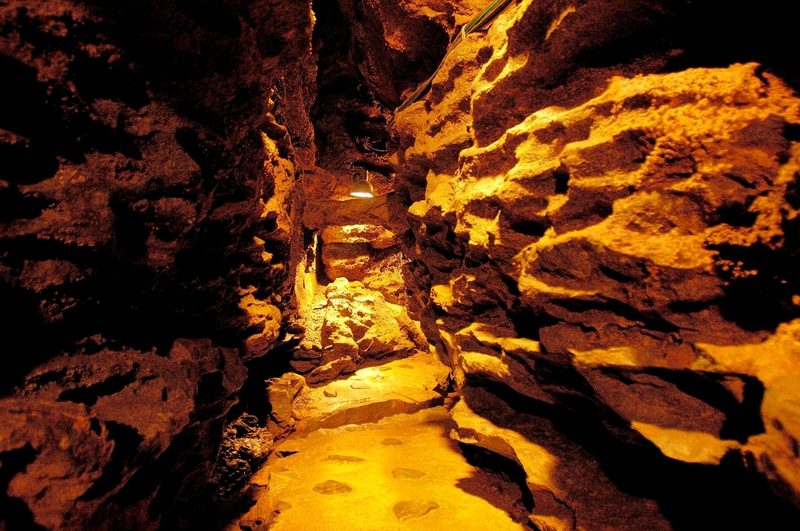 Yugama is also known as sacred place from its mysterious shade. Autumn is a recommended season when you can enjoy autumn leaves on your way home after seeing the lake of emerald green. Since the parking lot is on the Shiga Kusatsu Road, you can not visit Yugama during the winter season. You can only visit during late April to mid November. 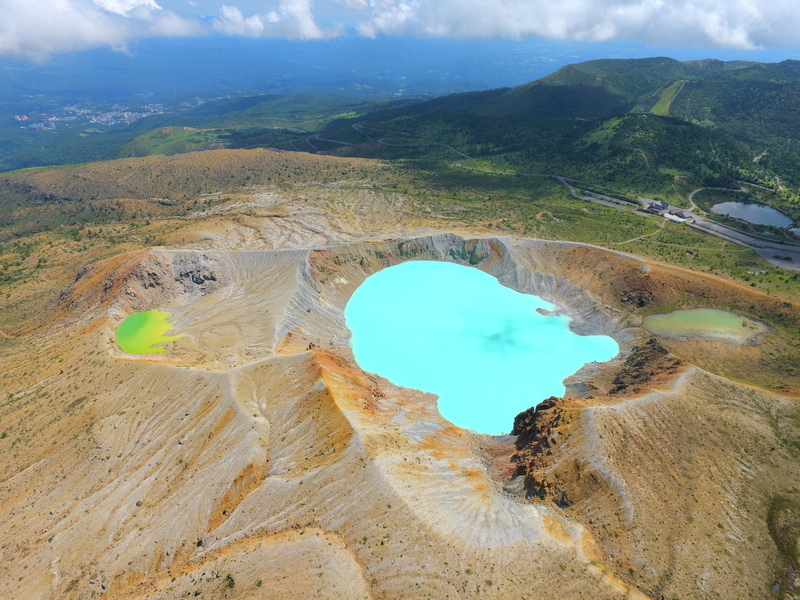 “Yugama” is the popular tourist attraction in Kusatsu highlands, and one of the crater-lakes which was made by the eruption of the volcano Shirane (2,160 meters high). 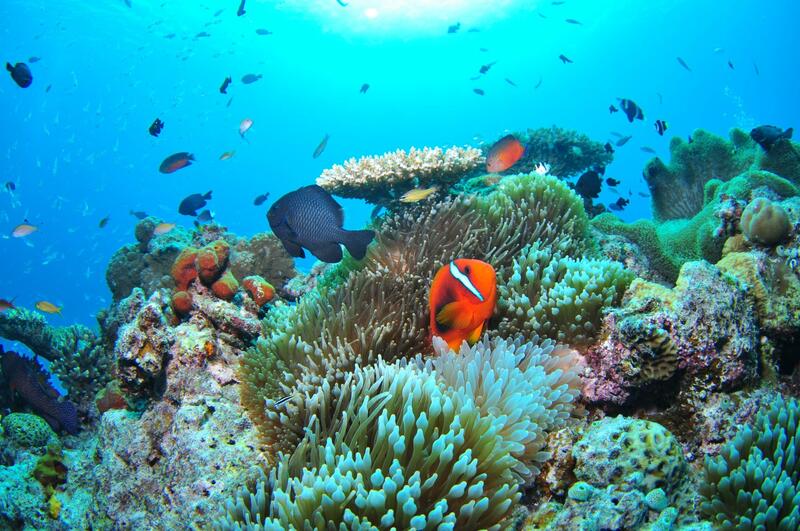 Its diameter is 300 meters, depth of water is 30 centimeters, water temperature is around 18 degrees, and calmly filled with the beautiful emerald green water. It is said that it is the strongest acidic lake (PH1.20) in the world and fish cannot live in such extreme acidity water. In addition, because of a lot of volcanic ashes, viscosity is strong and the quality of the water is very thick. Of course you cannot swim in here. If you enter inside of it, you gradually oxidized and begin to dissolve without being able to move. However, the contrast of the white face of the mountain keeping out the plants and the surface of the emerald green produce mysterious atmosphere. But, as of September, 2016, “the Yugama visit course” is forbidden to come in by raising Mt. Shirane’s volcanic alert level. Under the eruption of Mt. Kusatsu-Shirane on 23rd January 2018, it is restricted to mountain again.